September | 2013 | LIT.GAZ. Out of Print…and into the ether? People who know me know I read a lot. I love books, especially the printed kind. But I am not a luddite, and technology had brought new possibilities to my reading. I bought a NOOK a year ago. I havered for ages about getting an e-reader, and couldn’t stomach being in hock to Amazon or being stuck with something with as daft a name as k*ndle. I don’t buy books for my NOOK. I discovered that a lot of the old books – especially travel-writing – that I could only buy at exorbitant secondhand or reprint prices (and don’t get me started on the quality of POD reprints) – are actually available free as pdf or epub files, having been digitised and made available on sites like the Internet Archive or Project Gutenberg. So I can download and read them free. If only it were that simple! I’ve discovered that anything digitised by g**gle has a fair chance of being garbled somewhere along the way, and has rarely been checked. Texts in older fonts don’t seem to scan well and are therefore riddled with errors and hard to read. Anything with footnotes is a nightmare, because these end up all over the place, and in the same size print and font as the body text, so often I don’t know where the hell I am. I decided that these issues might be overcome on an e-reader with a larger screen – like A4 size? – but I don’t see anyone making one of those. And reading on a PC or a laptop is a pain because the page is the wrong shape. If anyone has any suggestions, I’m ready for them. But I’m persevering with my NOOK, and enjoying the free books. Another thing I’ve discovered is audiobooks. Where the hell has this guy been? But free audiobooks, courtesy of the amazing Librivox website: there are now thousands of books available, read by volunteers, for download. And, if you speak French, there’s now a francophone equivalent site online. You can download files in various formats, and what originally got me interested was that I could burn the mp3 versions to CD and play them in the car on the way to work, or on other solitary long journeys. Because they’re recorded by volunteers, they’re of variable quality. Some are, quite frankly, poor, but most of the ones I’ve listened to have been good to excellent – fantastic versions of many of Mark Twain’s books, for example, a brilliant version of The Wind in the Willows, a full version of St Augustine’s City of God, and lots more. Most are read by Americans, as the site is originally a US venture. Also, they only record out-of-copyright texts, which basically means pre-1923 US publication. And there’s a Librivox explanation recorded in at the start of each chapter: clearly one of the purposes of this is to put off rip-off merchants who might try to sell the recordings commercially. I think it’s a fantastic idea and I wish them every success. When I have time I intend to put a little back by volunteering to record for them. Partly I think Blunden’s sometimes laconic descriptions are to spare himself as much as his readers, yet that also feels like a simplistic and patronising response. Somehow the weariness of war, and the meaninglessness of it all, are enhanced by his hands-off approach. 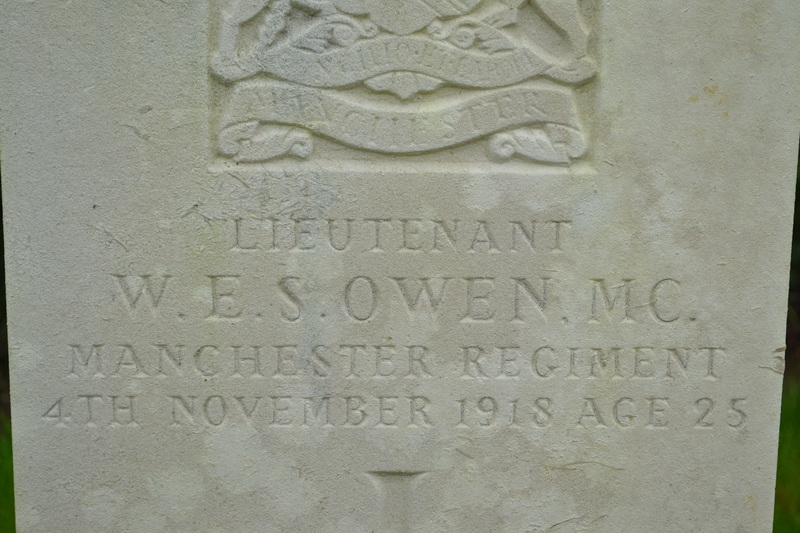 And yet I feel him there, at the Somme, and at Ypres, losing friends and colleagues in the blinking of an eye, and accepting (?) moving on because survival is paramount. I still find this the best of the war memoirs, preferring it to Graves and Sassoon. I like the way he uses language to describe what is around him, what he sees and the attitudes of others: he is an excellent observer who leaves the commentating to his reader. The picture of war as chaos and confusion in all directions, with no idea what is really going on, certainly no sense of one side or the other ‘winning’, is sobering; he is surrounded by pointless movement, by death and destruction, and so, through his words, are we. He is aware that he owes his survival (many times) to chance. 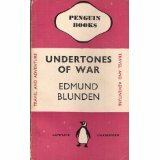 And we gained from this, for Blunden edited what was for years the definitive edition of Wilfred Owen‘s poems. This Korean economist is increasingly in the public prints with his analysis of events, and his book was well worth the read. Yes, it’s a bit rushed, even breathless at times, but it’s neatly structured (most of the time) and the arguments develop clearly; I found his line convincing. He’s unapologetically a capitalist, so there are no revolutionary suggestions or manifestos here. What he does is demolish, brick by brick, the arguments in favour of free markets that have taken over the world and done so much damage over the last thirty years or so. He adopts an almost catechetical approach: there is the ‘what they tell you’, followed by the ‘what they don’t tell you’, and then detailed analysis and evidence to back up his position. For me, the two most enlightening ‘things’ of his 23 were the chapters on Africa and education. For most of my life Africa has been regarded and discussed as an almost irretrievable basket-case, and we are shown that this is both untrue and far from inevitable. 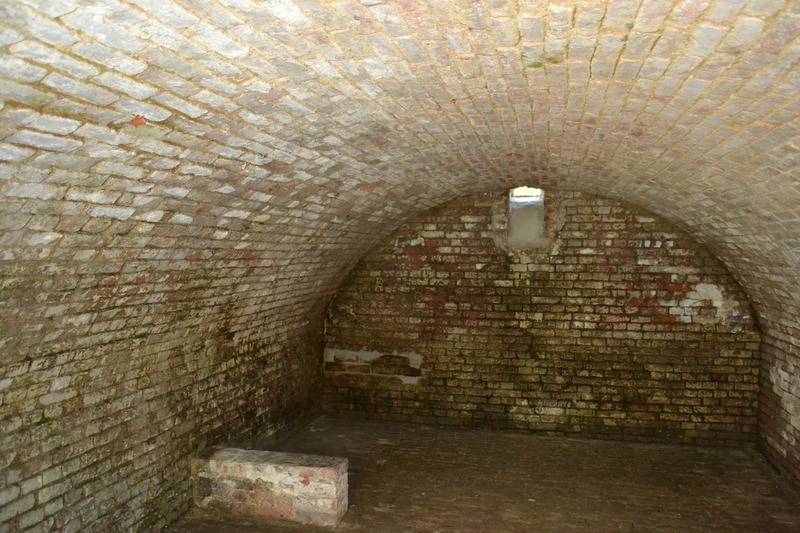 Equally, the current explosion of higher education in Britain, and the West generally, is exposed for the sham that it is in a lot of cases: education in specific fields does not lead to better jobs, achievement or wealth, but education (small ‘e’) as an old-fashioned liberal idea is one of the cornerstones of a civilised society. Would that Mr Arrogant (aka Gove) would read that chapter. So, some serious yet accessible analysis here: a much-needed breath of fresh air about our world, that will be ignored by those in power… no change there, then. 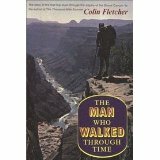 A curious find in a local secondhand bookshop, this is the account of a man who decided to walk the length of the Grand Canyon within the eponymous National Park. It’s a Tardis-like journey as, although on the (extremely detailed) map it looks very short, it’s actually far, far longer because of the meanderings of the river and the diversions and other wanderings necessary to avoid obstacles. It took him several weeks, particularly as he stopped for days in some places just to contemplate his surroundings. He did this about fifty years ago, and was the first person to do it. It’s a fascinating time-capsule, as he recognises the changes humans will inflict on the canyon, compared with the incredibly slow changes due to nature and geological time, over millions of years. As it’s a solitary journey, he finds himself reflecting deeply on time and the world and the interconnectedness of all things, and he struck me as an ecologist before his time, if that makes sense. He discovers as much about himself as he does about the Grand Canyon. The place itself comes across as stunningly beautiful (there are lots of black and white photographs) and amazingly desolate and isolated, and our insignificance as a species is highlighted by the physical and chronological scale. I have added another to my collection of books by the Swiss traveller Ella Maillart: this one has long been out of print, (although it seems to have re-appeared as one of these mysterious ‘print-on-demand’ books, which in my experience are often garbled and uncorrected scans, minus maps and illustrations) but it’s a decent ex-library copy and has all the photographs. Maillart travelled in Nepal in the early 1950s, and her brief account is rather sketchy, and she is less involved in her journey and with the people she travels with, compared with some of her earlier adventures. But she seems to be describing a now completely vanished world, even though it’s a mere sixty years ago, one of the few places on the planet not yet fully opened up to the West, and to tourists – Everest has only just been climbed for the first time. The sense of somewhere now gone for ever comes across even more strikingly in her collection of photographs. There are more pages of these than of text, all taken with her Leica, in black and white, and so have that aged quality about them which colour does not have.